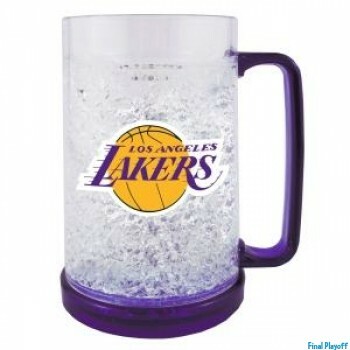 Transform your kitchen cupboards with Official Los Angeles Lakers drinkware and glassware made to fit for any occasion. Take a look at your Los Angeles Lakers mugs which are sure to add a lil pep to your morning coffee. Great way to take your drink with you on the go is with an Los Angeles Lakers tumbler to your next event or on the road. Invited to a tailgate? take your Los Angeles Lakers freezer pilsner rather then disposable party cups which are sure way to keep your drink cold.